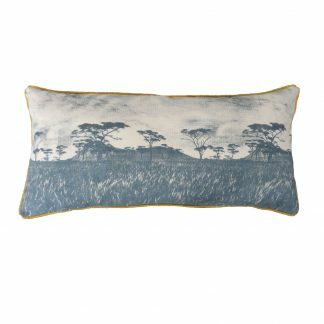 This calming cushion shows an African savannah rendered in the style of a 1970s landscape photograph, offering a window onto the great outdoors. 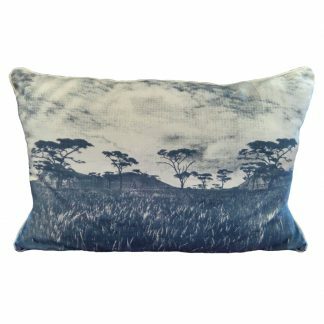 Image shown is blue grey on natural but this long cushion comes in all the veld print colours.To see full range of veld print colours click here. 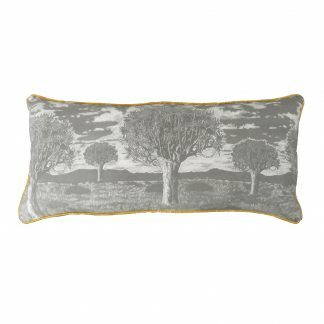 Print on front only – natural 100% cotton backing with zip and piping (piping colour may vary), Cushion sold with inner. 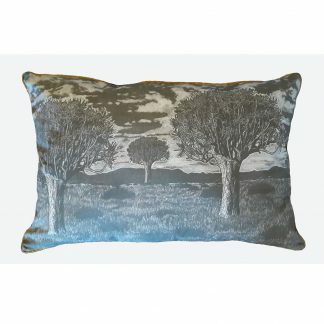 Screen colour is not always a true representation of print colour.